Truefitt and Hill – Since 1805, Truefitt and Hill has helped men of distinction groom for greatness, and understands that this doesn’t always involve a razor. The legacy barbershop and men’s grooming brand is embracing the return of moustaches and beards to faces everywhere—and celebrating the arrival of their Moustache Range, which includes its Gentleman’s Beard Oil, Beard Balm, and Moustache Wax. 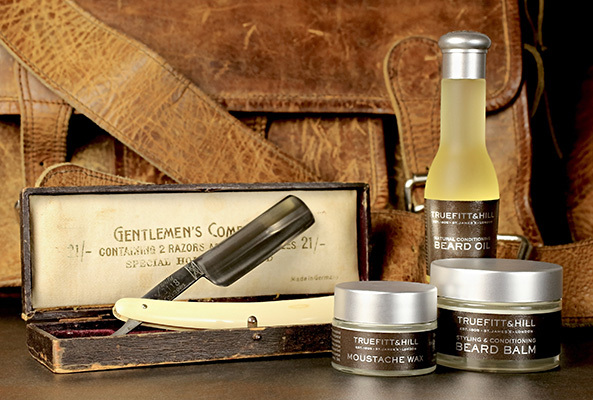 With more than 210 years of experience in styling moustaches and beards alike, Truefitt and Hill continues to champion quality grooming throughout the changes in facial fashions, bringing modern technique to the use of traditional ingredients. Truefitt & Hill’s Beard Oil is made with a natural blend of the finest oils. Coconut, avocado, sesame, jojoba and argan oil combine to leave the beard looking and feeling soft, well-conditioned, non-greasy and neatly styled. Our Beard Oil is crafted from selection of oils renowned for their exceptional properties. The blend is easily absorbed by the skin without clogging pores or hair follicles, and reduces irritation while nourishing hair and skin alike. Our green tea and cucumber fragrance provides a subtly crisp scent that will leave the wearer feeling clean and fresh throughout the day. 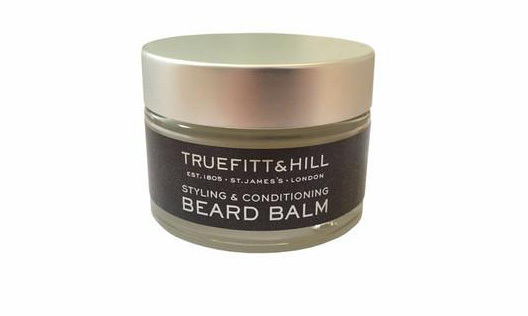 Truefitt & Hill’s Beard Balm is made from 100% natural, non-synthetic ingredients and it is alcohol and paraben free. Our meticulously formulated blend of jojoba, kukui nut, avocado and aloe vera oil combine with shea butter and beeswax to produce a balm that is not only easily absorbed by skin but also especially formulated to nourish, condition and soften even the toughest beard bristles. Regular use will help to improve beard strength as well as aid in the prevention of dry, itchy and flaking skin. Grapefruit, mandarin and bergamot oils combine to provide a subtle, fresh and alluring scent. This unique formulation, designed to act as a superb conditioning preparation, and as a great styling product, will leave the beard looking fuller, and perfectly groomed with a healthy sheen. Suitable for all beard types. 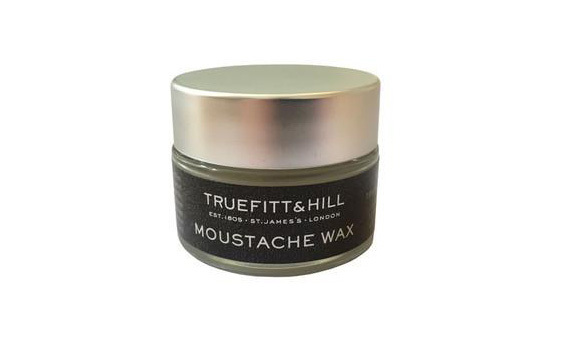 Truefitt & Hill Moustache Wax is formulated using 100% natural, non-synthetic ingredients and is both alcohol and paraben free. This unique product masterfully combines beeswax, and shea butter with jojoba, kukui nut, avocado, sunflower and aloe vera oil not only to condition and soften the whiskers but also to offer an excellent mouldable hold that will allow the moustache to be styled into a variety of shapes and provide a glossy, controlled and well-groomed look. Grapefruit, mandarin and bergamot oil, provide an underlying scent, which is subtle and will not disappoint any dapper gentleman.